Sara Shah is a freelance writer, holistic coach, and meditation teacher. 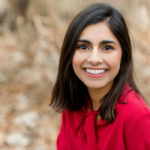 She aims to help women establish self-care and self-compassion practices through mindfulness and meditation exercises. She can be reached at www.breathewithsara.com.